Jim Bruni, Board Member of Heroes Supporting Heroes, is the Director of U.S. Corporate Tax for Thermo Fisher Scientific, Inc. and brings almost 30 years of tax, financial, and accounting experience to this role. Jim has been active in Christian mission activities as both a church elder and as a board member of Pittsburgh Region International Student Ministries (PRISM), a local organization dedicated to ministering to international students attending college in the Pittsburgh area. Jim and his wife Kay, whom he met when they both attended Grove City College, have lived in North Fayette since they were married in 1985. They have raised four sons, all of whom will be in college this upcoming school year. Jim is very active in his church, The Bible Chapel, where he serves as an Elder and serves as the Life Group Leader for their church campus. 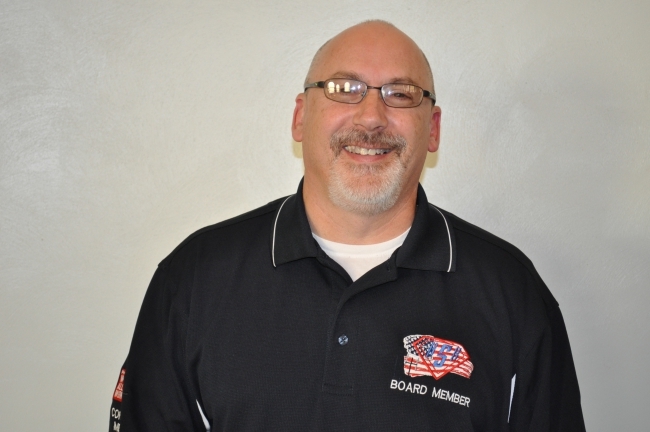 Jim will be the first to admit that he has little in the way of construction, mechanical, or building skills but understands the needs of the community and the role that Heroes Supporting Heroes and West Allegheny Workcamp can fill in meeting these needs. Jim recognizes that God has blessed us all with different gifts and when we come together as a church or a community; it is there that we can accomplish great things.